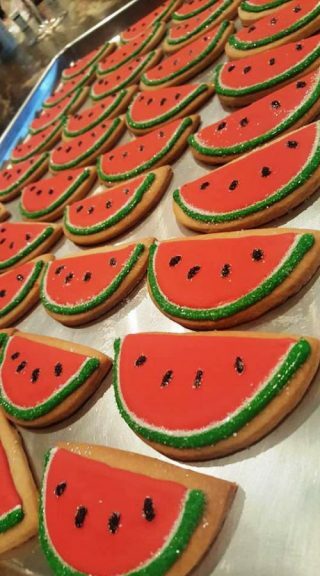 Read real reviews on what our customers have to say about our custom designed cookies and the service Bella Biscotto provides. I was referred to Bella Biscotto by a friend of mine that lives in Cleveland. 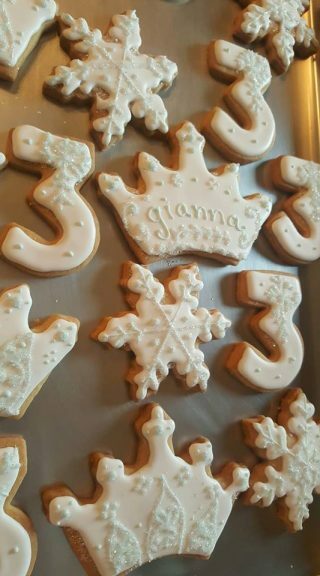 She told me about cookies that she had, as a favor, for a baby shower. 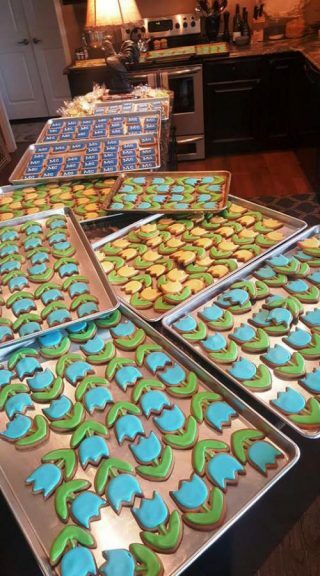 I thought I would try them out and ordered 80 cookies for my daughter’s 1st birthday party. They were a hit! Not only were they adorable but they tasted great! Ordering was easy and they made exactly what I asked for! I was worried that since they were going to be shipped to Chicago they may come broken! Well I was wrong! They were so well packed that not 1 cookie broke! Thanks for adding a wonderful touch to my daughter’s party! 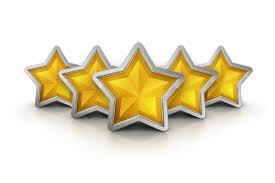 Cookie Review by Renee’ C.
My name is Katie and I am the Espresso Bar Manager at Nordstrom in Beachwood. I have been carrying Bella Biscotto cookies for about a year and half. What I love about the cookies? The cookies not only look beautiful but the taste of the shortbread cookie is just delicious. 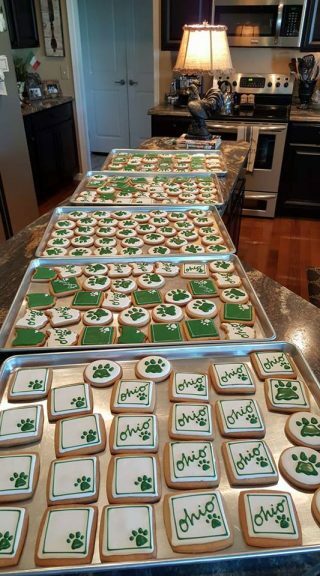 I like that Leslie and Dan decorate the cookies according to season or holiday. 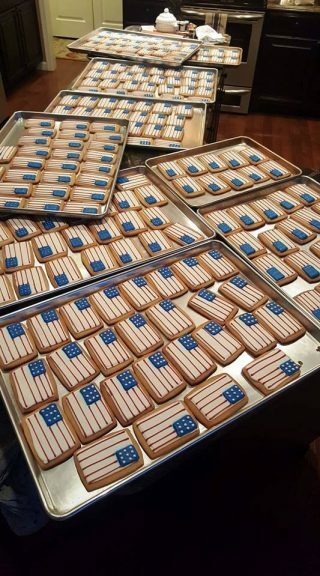 I always get excited when the cookies get delivered and I get to see the new design that Leslie came up with. 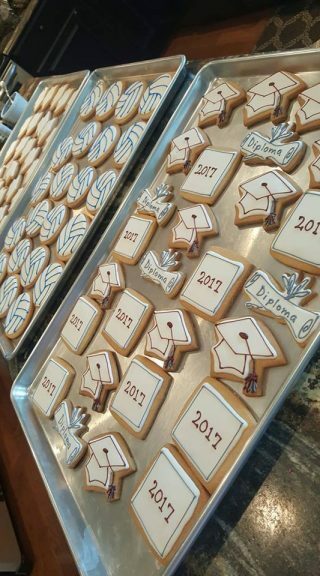 The cookies are just adorable! I have tons of regular customers that just come in for the cookies. The customers will even buy a broken cookie just because they love the taste. The cookies really do well for my business and they help make my Espresso Bar look really great!! Leslie and Dan have a great business and they both have been really nice to work with. 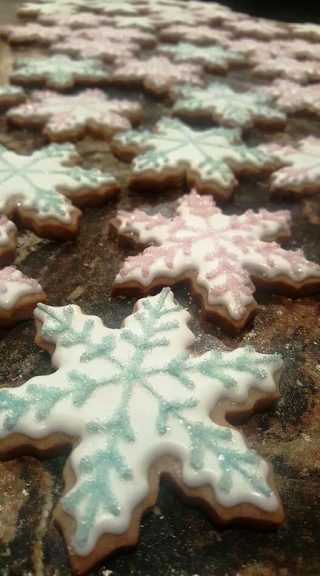 Keep up the delicious, beautiful cookies. A friend of mine first saw Bella Biscotto cookies at a craft show and thought they were so pretty that she bought some and brought them to our office. The ladies in our office loved them. 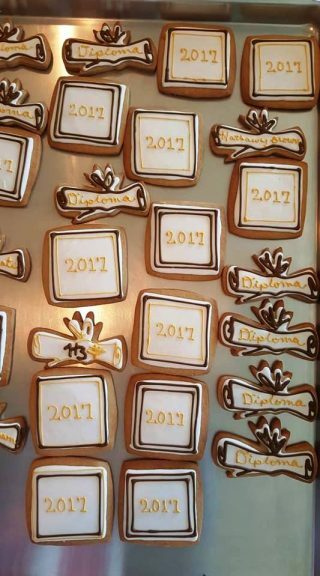 It had been my friend’s experience that any decorated cookie usually didn’t taste as good as it looked, but these cookies were not only pretty, but tasted great. Then I ordered cookies from Bella Biscotto for my future daughter-in-law’s bridal shower and Leslie made the cookies in the shapes of Gerbera Daisies and iced them in orange and yellow – the flowers and colors of the Wedding. The cookies were delicious. 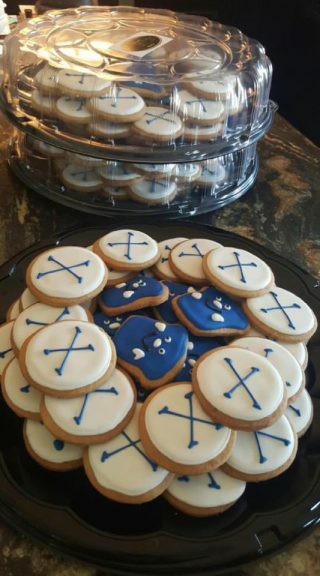 I ordered extra cookies for the Wedding Shower so we would have some left, but we did not have one cookie left! I was told that some of the women put extra cookies in their purses to take home. 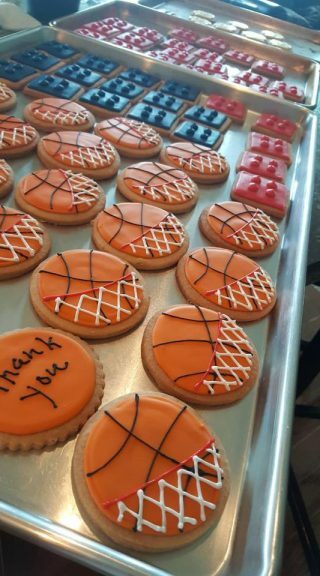 Leslie is very talented and will work with you to personalize the cookie design that you want. 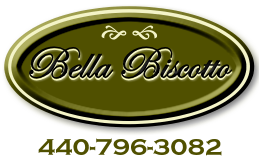 I highly recommend Bella Biscotto cookies.